The community, elected officials and county staff strive to work together on behalf of all of our citizens and visitors. At 954 sq. 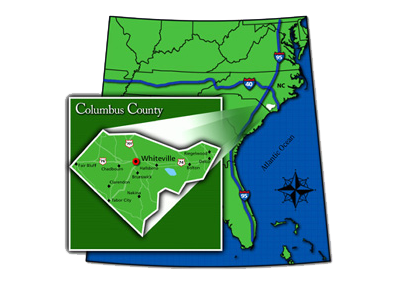 miles, Columbus County is the third largest county in North Carolina and is home to 58,068 residents. Columbus County is famous for its small towns and friendly atmosphere.